Last updated: August 29, 2017 by Rootwell Products Inc. Gardening can be one of the most rewarding and one of the most time-consuming jobs. 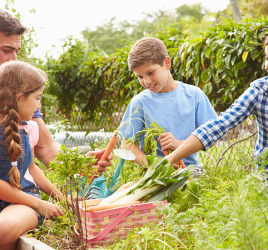 For the most part, at-home gardeners do it for the love of nature and the improvement of their homes. This is especially true when you are trying to coax a vine up onto your brick walls or to cover an old fence with a gorgeous climbing plant. Climbing plants can give your whole yard, or house an organic and inviting feel, like stepping into a green room. 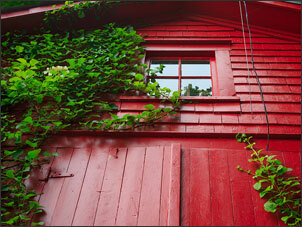 They can also hide a broken-down fence or add charm to a brick exterior that seems too austere. There are many types of climbing plants out there. Here are some of the most charming and colorful to choose from. Wisteria is one of the most colorful climbing plants with a beautiful scent. It comes in shades of white, purple, pink, and blue and is native to China, Japan, and the Eastern U.S.
Wisteria needs full sunlight or partial shade to do best and soil with good drainage. Wisteria blooms in the spring. If you’ve bought a tree or planted from cuttings, it will be 3-4 years before you will see any blooms. 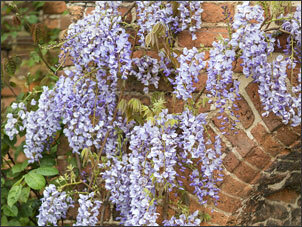 Planting wisteria from seed requires even more patience, as it will take even longer to flower. Climbing roses are the dream of many ambitious gardeners. We’ve all been to that perfectly cultivated rose garden with the arch of climbing roses. Something like that is a showstopper. It might be very well worth all the time spent in making it happen. 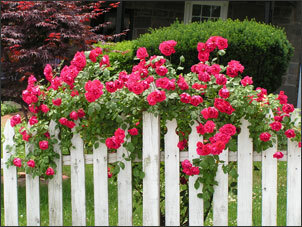 Climbing roses don’t bloom right away, unlike other varieties. They need to be allowed to grow to full size. Train them with plastic wrapped wire ties and stakes to make sure the ties hold up against the elements. Pruning should be done in the dormant period from December through February. Another important thing to note is that you should fan out the canes instead of letting them overlap. This will leave space for new growth. 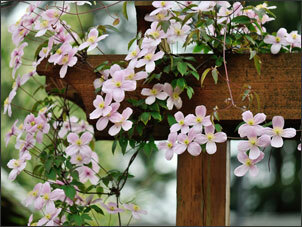 This Clematis variety is your ticket if you are looking for a more rapid growing variety of climbing plant. It yields many flowers in late spring or late summer, so be prepared. Rubens do best when planted in the shade and allowed to climb into a sunlit area. Plant rubens in moist but well-drained soil. 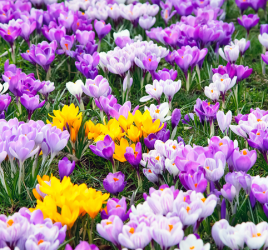 Fertilize in the spring with organic compost and add a general fertilizer. Rubens can grow quite tall if you take care of them – up to 26 feet! Also known as Firethorn, these huge evergreen shrubs are native to a large area of the globe stretching from Southwest Europe to Southeast Asia. They are related to a cotoneaster but, unlike the cotoneaster, they have numerous thorns, so be careful! There are seven species of firethorn has a white flower. They grow up to 20 feet tall and need to be trained to grow up a wall. They’re also notable for their clusters of red, orange or yellow berries, which start to develop in late summer and mature in late autumn. 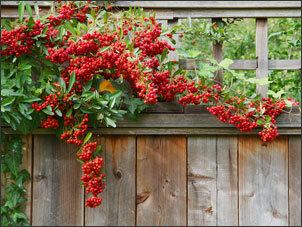 If you are looking for color during most of your growing season, the pyracantha is for you. For best results, plant pyracantha away from the wall – at least 19 inches in a good rich soil. Water regularly for the first few years as this plant is growing and climbing. After that, it will not need much watering. Another plant which can stand alone or be taught to climb is this angelic-looking flower with large leaves and puffy blooms. Plant climbing hydrangea plants in early spring or fall. Summer is hard on a hydrangea because of its high need for water. To establish the roots, this plant will need tons of water. It’s important to plant your hydrangea in a place that gets good drainage but is not too wet. Its roots are susceptible to rot. Climbing hydrangeas are also easily damaged, so they need to be planted in a more protected area – a courtyard or fenced-in garden could be the perfect place. This is especially important if they have natural shelter from the walls and aren’t sitting in hot sun for too long. Climbing hydrangeas can grow for many years without needing to be pruned. This evergreen vine is considered one of the most outstanding and beautiful climbing plants in the world. It’s native to China, India, and Southeast Asia and does well in a tropical climate. They can withstand subtropical climates, such as Southern California, but they will lose many of their leaves in the winter. However, what a showstopper when they bloom! Large white bell-shaped flowers with a lovely scent and long stamens are the reward for the gardener who tends these. Beaumontia need full sunlight or light shade and rich, well-drained soil. It does require a lot of watering but needs to be monitored for root rot. A raised bed with organic matter is a good solution for this problem. Prune after flowering to ensure blooms next year. Morning glories are fast growing and avid climbers. 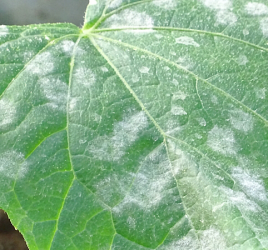 Because of this, and because they can tolerate poor, dry soils, some morning glory varieties are used for creating shade on buildings where none exists. They can keep the building cooler inside. Some morning glory species are very invasive and can take over any other type of plant, gobbling up the sunlight and nutrients for themselves. They produce pretty, cone shaped flowers. Depending on the species, some morning glories are planted as annuals and some can tolerate cold and be a perennial. 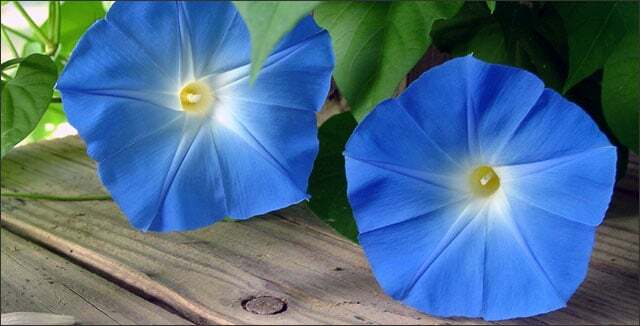 Plant morning glory plants in full sun, moist well-drained soil and water on hot days to avoid wilting. If you fancy a climber that looks Japanese, try this plant. In the spring, it has little red flowers and it’s easy to care for. It can be planted in most soils, in the sun or partial shade and blooms quickly with plenty of water. However, Japanese quince can tolerate drought. Another climbing plant people associate with the Orient is Jasmine. It comes in two varieties summer jasmine and winter jasmine. Summer jasmine does best on the south or southwest side of your home with full sun. Winter jasmine can be planted in partial shade on the south, east or northwest side of your home. Jasmine is a woody climber in the olive family. It thrives in a subtropical and warm temperate climate and needs frequent watering. Jasmine is also cultivated for its large, fragrant, and beautiful flowers. Summer jasmine needs to be pruned in late summer or early autumn and winter jasmine needs to be pruned only in spring. All Jasmine can grow up to 26 feet in both height and spread. This plant is also known as Japanese Honeysuckle. Another big, evergreen climbing plant, this one has white and yellow flowers which have a delicate, hanging look among its big, green leaves. Halliana can tolerate full sun but does best in partial shade. It tolerates chalk, clay and loam soils quite well and grows quite tall – up to 30 feet in height. While it might take years to reach its full potential, this plant is worth the easy care and time. If you are dreaming about a climbing plant for your next garden project, I hope this little guide gets those juices flowing. Climbing plants can be some of the most rewarding plants for the effort you put in. Happy gardening!